In late-2010, I knew nothing about archaeology. After three-plus years as a senior editor at Archaeology, I consider myself knowledgeable on at least one arcane subject: the peopling of the Americas. I just finished a large project that I spent a lot of the last year reporting for Archaeology. It included meeting a lot of great characters, as well as a trip to the Paleoamerican Odyssey conference in Santa Fe, NM, last October. It was an occasionally testy meeting with prominent archaeologists whose theories had been summarily dismissed for decades by their peers finally having their day in the sun. I would have never guessed it, but I find this topic really exciting. Oh, and we just made Kiera a new website since she has a book coming out this fall. Check it out. When my old friend Steve, who is now the editor in chief of Atlanta Magazine got in touch last summer with the idea of writing about sea turtles on the Georgia coast, I jumped at the chance to revisit some places that I haven’t been since I was a kid, like Jekyll and St. Simon’s Islands. Probably the coolest part of reporting this story was getting to go on to a Georgia barrier island that very few people get to go to. Ossabaw Island is essentially a barely inhabited sanctuary maintained by the state. Mark Dodd of the Georgia Department of Natural Resources was nice enough to drive me around the island until we got to see one of the feral pigs that have overrun Ossabaw since the Spanish brought them in the 1500s. Another cool piece of trivia: One of the few people I know who have ever been to Ossabaw is actually my wife, Kiera. She went pig-hunting on the island in 2011 on assignment for Mother Jones. 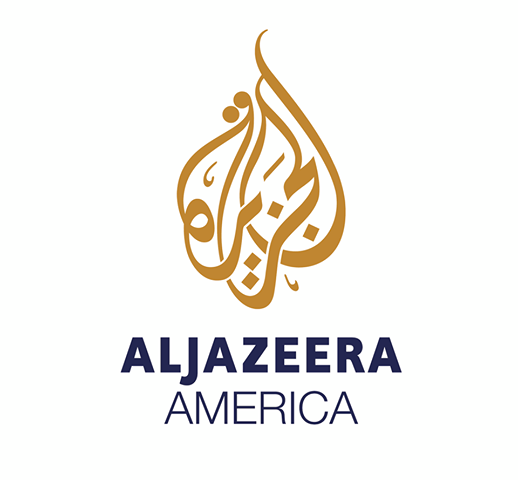 I don’t normally shill for upstart cable networks—at least I never did for Current TV, MSNBC, or a newbie like Fusion—but you need to watch Al Jazeera America. For one, it has excellent, objective, news coverage with an international point of view and no punditry. Second, they now pay my bills. I got the job, and I’m excited to work with what seems like a dedicated team of producers to cover some of the most important issues in the world. I’ll be helping to run the show’s website and build web content to augment and supplement the show’s episodes. It’s a very exciting time out here on the left coast! I’ve been neglecting this space. But I have a fantastic reason. I moved to the Bay Area in late-March! I’ve been getting settled, rehabbing a busted finger, and trying to figure out my new environs. But it’s time I returned to posting occasional life updates. The jury’s still out on which coast is better, but it’s now been more than six months since I moved to Oakland from my beloved Brooklyn. It’s very different here, and I’m still adjusting to the lifestyle and pace. This is an early-to-bed, early-to-rise-type place. I’ve never been told by so many people that they had to leave a weekend night hangout because of some sort of hike or other outdoor activity the next morning. I think the long term outlook is that the move will be better for my health. Except for two things: One, public transportation here is a joke, so I now drive pretty much daily. I don’t have an actuarial table handy but that can’t increase life expectancy. 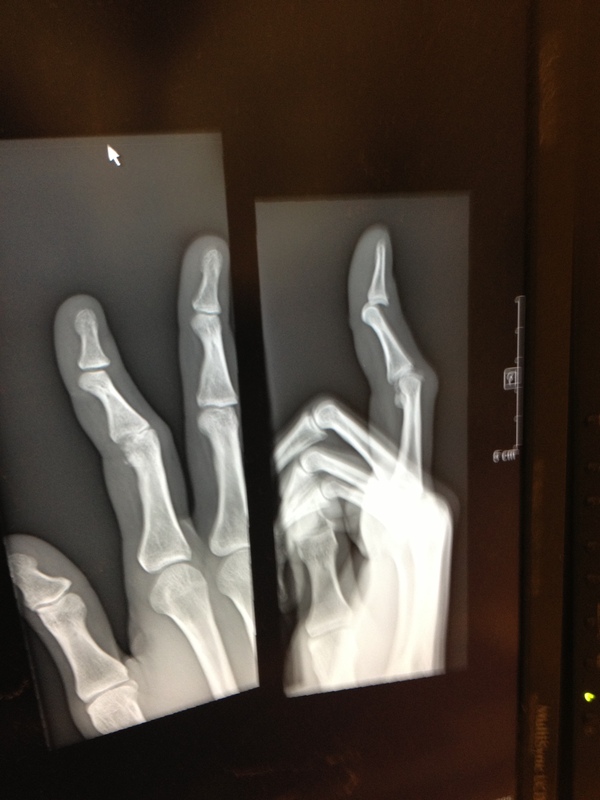 And, two, I broke my right, index finger playing softball in mid-May. (That’s an X-ray of the dislocation and fracture above.) The bone and tendon have healed, but I’m still having trouble restoring the full range of motion to my finger. In my nine years of living in New York, I don’t think I ever saw the inside of an emergency room. I was in one within two months of moving here. There are parts of the culture here I really like though. People don’t seem to be as obsessed about their jobs, though I sort of still am. (Old habits die hard, but it’s nice that other people are more lax about it than me.) And people are earnest. Very earnest. And nice. Oh, and my fiancee lives here, so obviously that’s its trump card. In that respect, this is the best coast. But, I’m still mulling over whether that’s objectively the case. I’ve been a fan of Atlanta’s three major sports teams for as long as I can remember. For at least 25 years of support and occasional bouts of deep devotion, these franchises—the Hawks, the Falcons, and the Braves—have delivered one championship. (“The one World Series no one wanted to win,” according to Bill Simmons.) You don’t have to be a financial whiz to know that’s a garbage ROI. A few of my friends have challenged my contention that Atlanta’s teams make it the most miserable sports city. My friend Samir cannot be convinced that Cleveland is not the rightful occupier of that throne, between Lebron’s decision, the Browns becoming the Ravens and then winning the Super Bowl, “The Drive”, “The Catch”, etc. Greg, another close homey, is from Seattle, a long suffering sports city with a paucity of titles and a former basketball team (currently named the Oklahoma City Thunder) that is probably the most fun team to watch in the NBA. 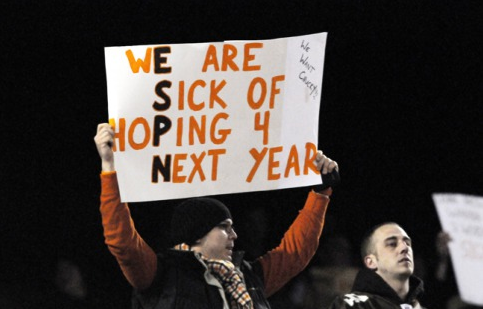 On the occasion of the Falcons unceremoniously crashing out of the playoffs this past January, we decided to blog our myriad frustrations from our hometowns. Joined, from time to time, another of my friends, Dave Zuckerman (a tortured Beltway sports fan), we’ve whined, kvetched and boohoo-ed over here, at Coming Up Small. 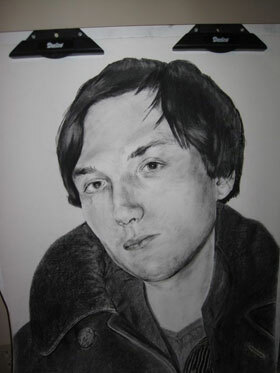 A charcoal drawing of JR by his Aunt Nancy. Exactly a year ago, I lost a close friend. JR was among the most brilliant, most engaging, and most enigmatic people I’ve met in my life. Though we were friends for only four years and change, he had a profound effect on my worldview—as he did on most people who spent any time exchanging ideas with him. I wasn’t really able to write about JR initially after he passed. In fact, it was an email from me that informed several of his friends that he’d taken his own life last winter. Obviously, losing a friend is traumatic, but being the bearer of such awful news was among one of the hardest things I’ve ever done. I spent a lot of time, especially early last year thinking and talking about JR, but I couldn’t really focus my thoughts long enough to write anything about my friend. In late-November, a colleague of mine forwarded me an email from an editor at NPR’s This American Life. The producers of the radio show were going to curate The New York Times Magazine‘s “The Lives They Lived” issue and wanted it to focus not on the most famous people who passed, but on “people who haven’t gotten a lot of press attention but have extraordinary stories nonetheless.” My colleague thought JR qualified and suggested I submit something. So, I thought about it throughout Thanksgiving and cobbled something together, largely in JR’s words (which are far superior to my own). As it turns out, they were actually looking for well known people, just maybe not Amy Winehouse-level well known. (No matter, the piece I submitted was way too long for their purposes anyway.) Still, the exercise was greatly beneficial for me. I got to spend a lot of time thinking about my friend. I got to spend a lot of time reading his thoughts, via his brainy, extemporaneous blog A Fistful of Science. I got to know JR better. Below is what I submitted to the editors for their consideration. Boy in a bubble w Nana. A dog and his toys. Journalist. Husband of a journalist. Dad to two. ATL-bred. Back in town after stops in Brooklyn and Oakland. Can your favorite college football team unionize? A Portrait of the Artist as a Young Neanderthal? Does the Natural Gas Boom Endanger Archaeology? This New House: Are Unmanned Lab Homes the Future of Efficiency? Are There Missing Pieces to the Human Genome Project? Were Our Pets Deliberately Poisoned?